Kate lectures into the Industrial Design and Product Design Engineering Programs at Swinburne University. Her primary interest is in how Industrial Design can lead the world to a more environmentally and socially responsible future. Recent projects in this area have been in collaboration with VEIL (Victorian Eco Innovation Lab), World Vision Australia, Yooralla, City of Broadmeadows, City of Port Phillip and the Ethical Design Laboratory (RMIT), Kala Raksha in Gujarat, India She has been exploring her interest in the development of an alternative design process for Industrial Design, looking specifically at the interaction between user and product since completing her Master of Arts in the early 90s. Her career has spanned both academic and professional practice and her industry experience includes working as a Senior Designer and Project Manager at several of Melbourne’s premier design consultancies, developing high and low volume Commercial products for both local and international clients. This is about to be published in the Journal of Cleaner Production. Trent Carter and Rob Reid designed this unique coffee machine in 2010 by rescaling the microheat technology to suit a product application. This involved the use of their thermodynamics and machine design knowledge, thus meeting the specific engineering learning objectives of the subject. 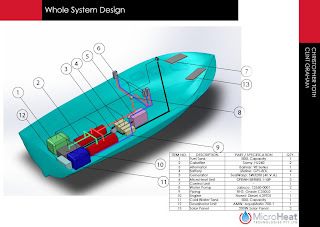 Chris Toth and Clint Graham (2013) used a Whole Systems Thinking (WST) approach to develop a water heating product for boating the made use of waste heat from the motor and desalination opportunities. 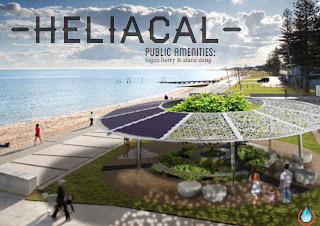 Alana Dang and Tegan Berry ( 2013) Designed a solar powered shower for public spaces that sells excess energy back to the grid and utlilizes grey water collection. Currently I am working on developing collaborative Social Responsibility projects working with Artisans in India, via Kala Raksha, an organization that empowers Women Artisans through education and the preservation of culturally rich craft techniques.http://www.kala-raksha.org/ This semester the project involved a group of Masters of Design students exploring the possibilities of developing products that could utilize the embroidery techniques of the Kala Raksha artisans. The project is not so much about the resultant artifacts but rather exploring modes of collaborative work, cross cultural communication, the relative input of each party, ownership and mapping of the potential social, environmental and economic potential impacts of these products. 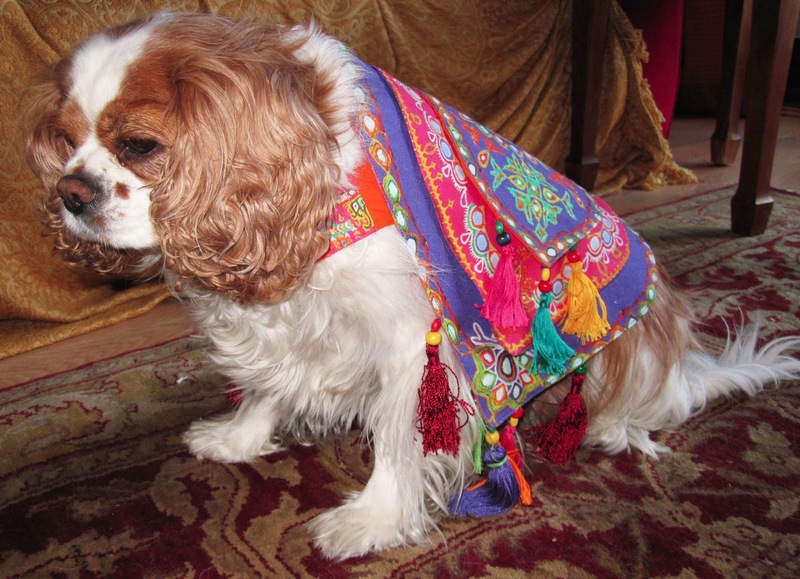 Art Pet Coat proposal by Shelly Perry. Grace Gong So has used the Business Model Canvas to propose how her project, an embroidered kite, designed with Kala Raksha might become a real proposition. 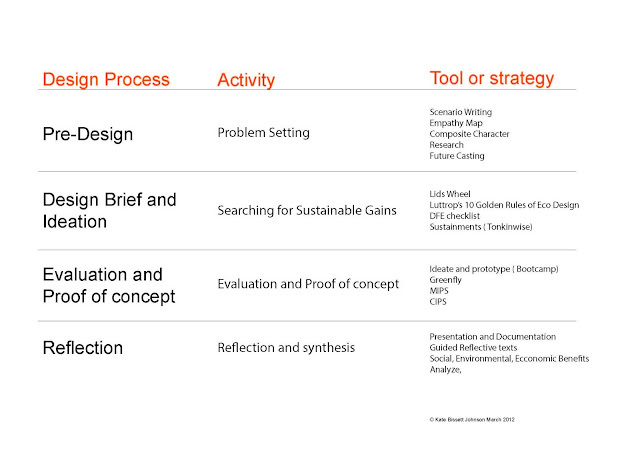 I have been exploring how to teach Design for Social Responsibility since 2008. Although Viktor Papanek explored ideas about designing for the poor or disabled there has not been a huge amount of engagement with this area in Industrial Design Education. I have been developing a model for getting to students to work on Socially Responsible projects with my colleague Simon Lockrey ( RMIT). Clients include World Vision Australia, Sangam Australia India Design Platform and Kala Rakasha (see post above). 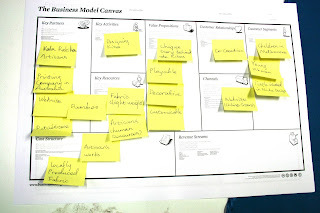 The model I have developed uses Human Centred Generative Design Research Techniques, Real World Briefings and Critiques from people in the field and Analysis in regards to local materials, local skills and traditions and local economy. In this movie Lucas Chan is testing out his idea for a DIY facemask for Indian Artisans using found materials. A large part of these projects that helps to build empathy with the end user is to make prototypes of the design. 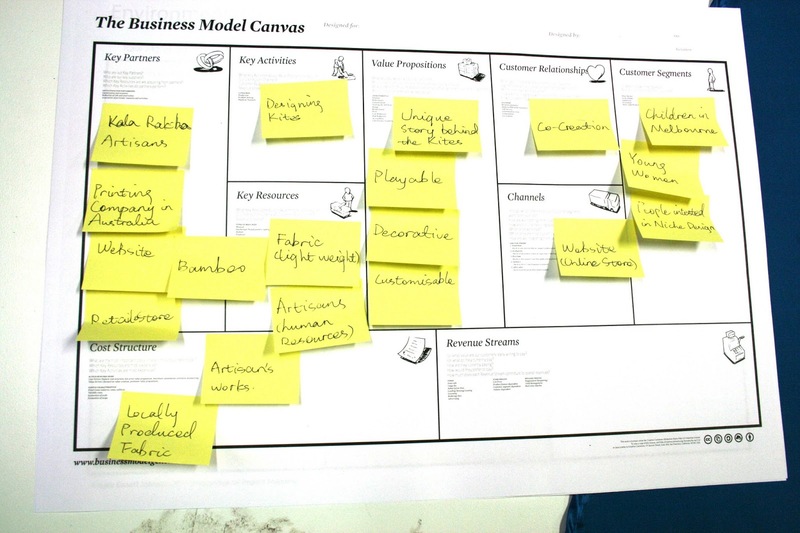 Prototypes are used to test out ideas and encouraged very early in the design process as a problem solving tool. I am implementing a curriculum comprised of a series of active learning activities around 3 d space and model making for the teaching Ergonomics to a multidisciplinary group of first year students. 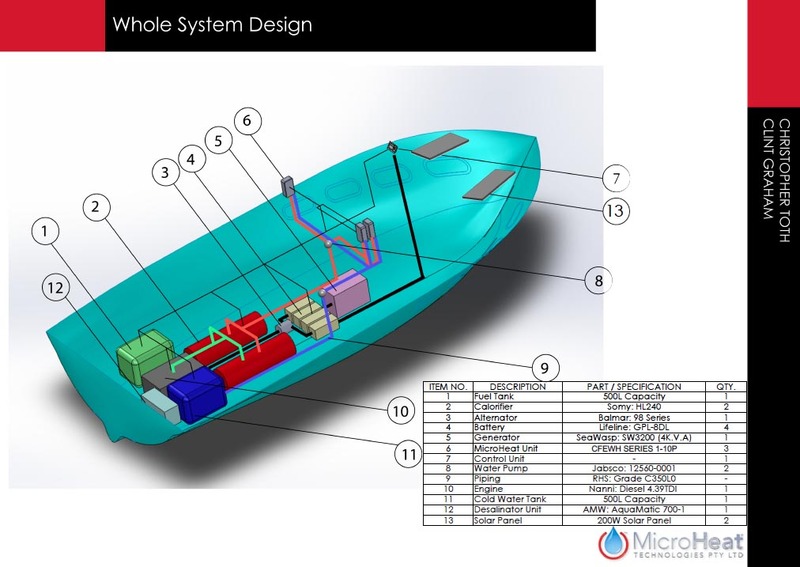 Projects include real physical testing of kitchen implements and rough and ready mockups using plasticize, spatial mapping of a shelter and the use of mockups to verify the dimensions for Ear Muffs. These activities are getting students to physically interact with their designs thus clearly demonstrating how human factors do influence design decisions, also making the class fun along the way! Here is a video of the final automata from the first Semester that i ran the project in 2011. Since then we have produced on average 60 new automatas each semester. This short video shows the mockups that the students did before the final model to solve the Engineering details and to explore the principles. In 2009 - 2011 I worked with VEIL ( Victorian Eco Innovation Lab) on several projects. The First was about FUTURECASTING, imaging a life at Docklands where people choose a ECO lifestyle. The second was a REVISIONING of two shopping malls in Broadmeadows, looking a contemporary cross cultural opportunities. Both of these projects were undertaken with Denis Smitka, a colleague at Swinburne. 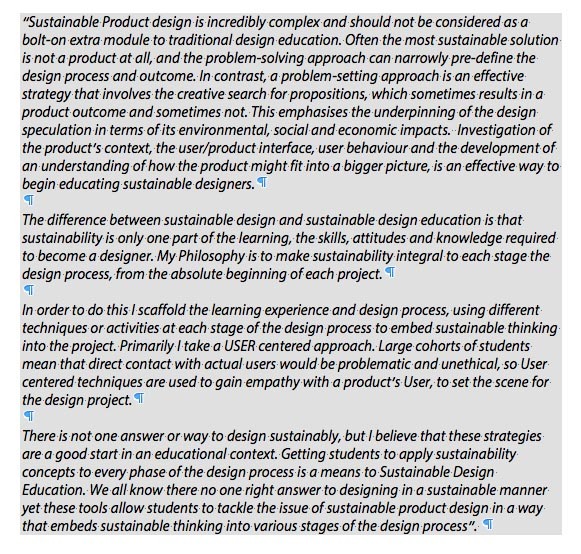 In 2012 I was asked to speak at the local DEISIS (Design for Social Innovation and Sustainability Network http://www.desis-lab.org/about conference about my teaching philosophy in relation to teaching sustainability, here is an extract from that presentation. In this slide from the presention you can see the types of activities that I have designed into the curriculum for each stage of the Design Process.